At least that is what they say round here. 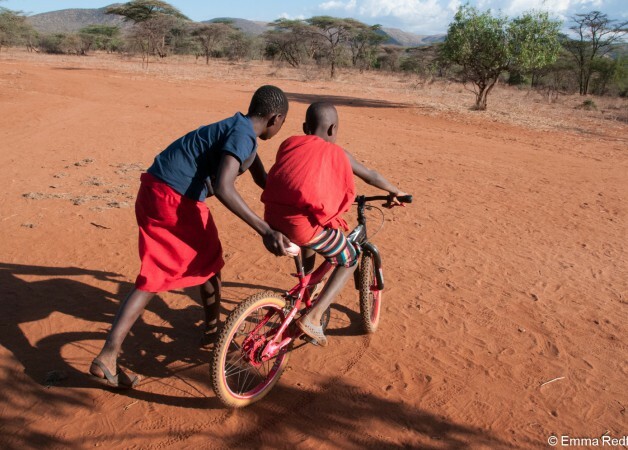 Girls can’t ride bicycles, only boys can and, even if they could, they shouldn’t because they should be fetching water, or firewood, or milking or cooking or making tea for the men. 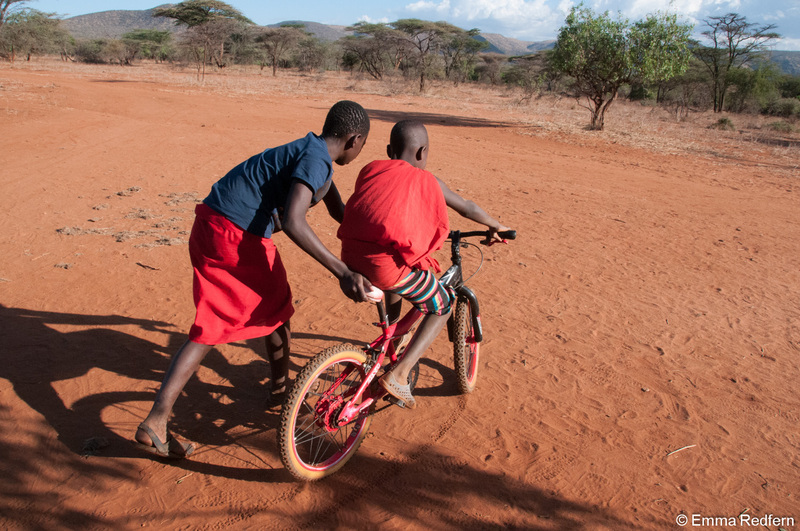 We see things a little differently at Olng’arua and rejoice in upsetting the apple cart, disturbing the old fogies and generally stirring things up a bit. 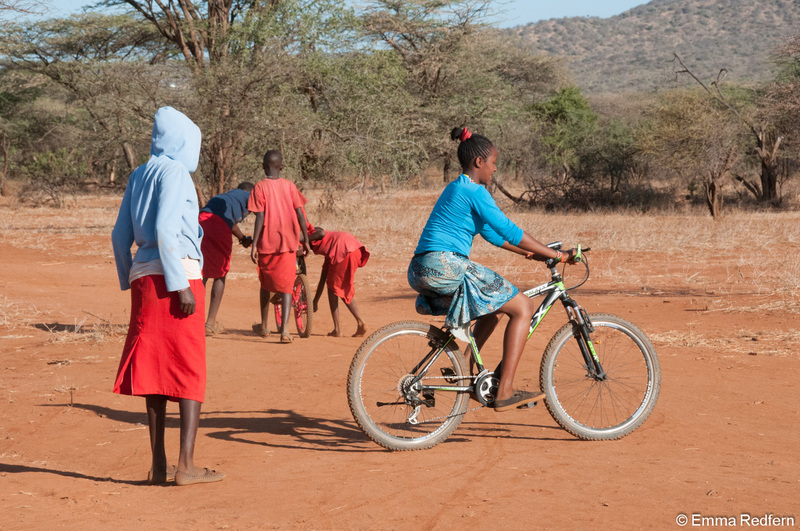 The girls (and of course also the boys, totally equal opportunity here) are learning to ride a bicycle thanks to Koytalel and Kitonga who refurbished a kids bike for school use. Even our trainee teachers are getting in on the act. 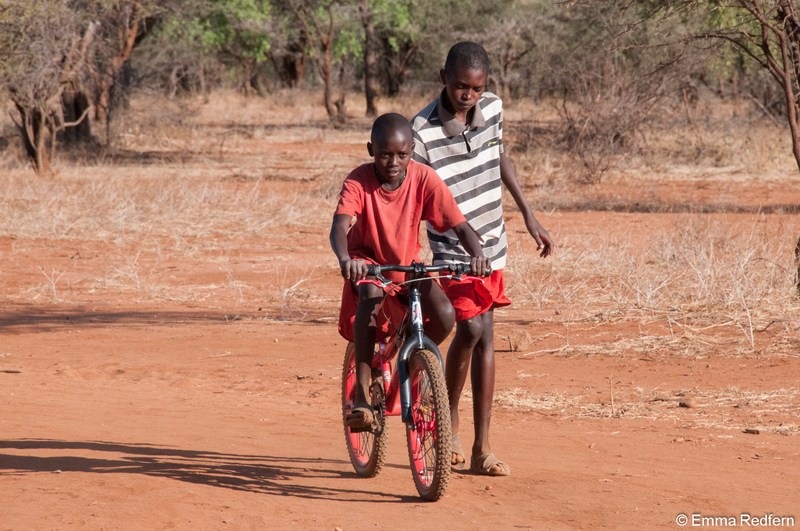 Next task is to find some training wheels for an even smaller bike we have so that the little kids can make and early start on their cycling skills. Our two trainee teachers are also learning to ride a bicycle. Love this movement,-teach 3, tell them to teach 3 more & these 3 to teach 3 more again!! and the game continues round! !.